Wow! What a display of light and atmospheric mood from Mother Nature. 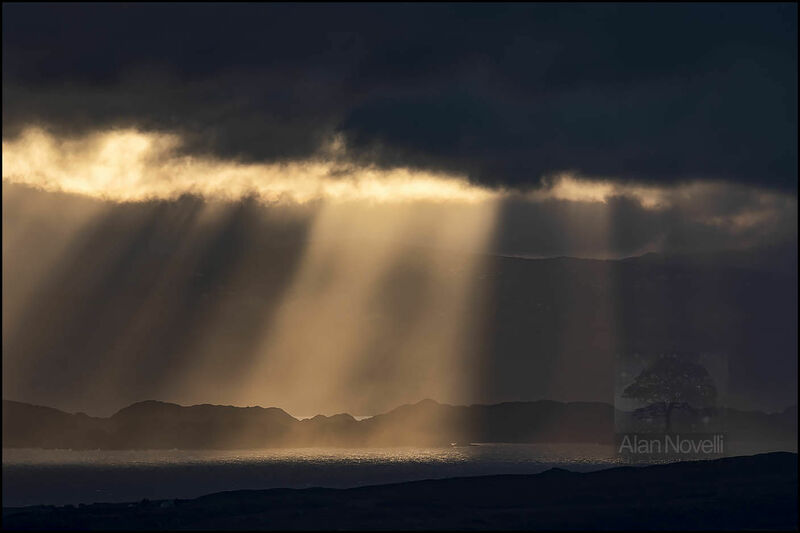 I was shooting the famous Quiraing in the north of Skye when I noticed this amazing display of crepuscular rays breaking through the dense clouds over Torridon. I switched to a long telephoto lens and spent a memorable 20 mins shooting the light patterns as they danced and shimmered up the Sound of Raasay.